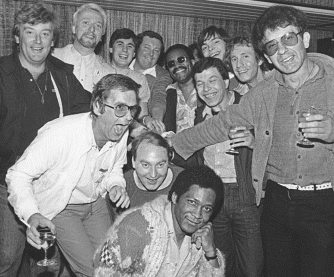 The picture above was taken at a 1979 CBS party for Lonnie Liston Smith, with all the DJs who were going to play at the Knebworth Soul Festival. Some of these also played the California Ballroom. The picture below is recent, very recent. 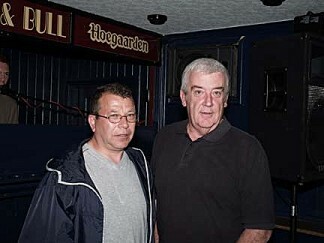 Can you work out who they are from the original?